There used to be an old bookstore in our locality, where the owner had a unique way of displaying what he considered the most popular books of the month; by tying a string from one end of the shop to the other and hanging the books with clips, like most Bengali households hang freshly washed clothes on a warm sunny day. This was the 90s. Books weren’t corporatized yet and manufactured ‘Bestseller’ racks hadn’t made it into the mainstream. The paperbacks kept changing almost every week, from Dickens/ Blyton to Narayan Debnath and Ruskin Bond. But one name instantly drew attention, one that held on to the string like a tightrope walker clutches to his favorite spot. Pran. Pran’s greatest accomplishment was that he successfully neutralized economic differences [Marvel and DC were either unavailable or considered extravagant], and made comic books affordable for middle-class children in India. Computers, the internet, cell phones, were all luxuries beyond means; even cable was new then and served limited entertainment. Pran’s characters were not only talking to us through their fun-filled stories of various explorations and misadventures, but they also stood for something inherently noble. 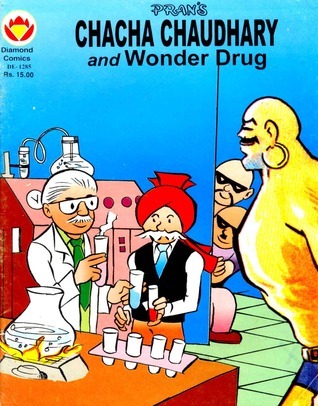 While most Western superhero comic books centered on their physical might and abilities, Pran gave us a homegrown ageing and bourgeois hero in Chacha Chaudhary, who relied typically on bravery and intelligence than his partner Sabu’s Herculean strength. 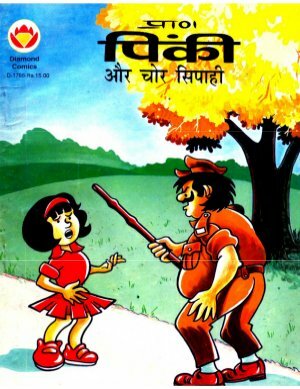 In Billoo and Pinki, most of us saw or wanted to see reflections of ourselves. They were mischievous kids who amused us but were also often found helping the needy, and teaching the tyrant a lesson or two. All his stories — whether it involved Raman or Shrimatiji, Billoo or even Chacha ji — were set in extremely believable worlds; effectively embedded with a healthy bout of fantasy and science fiction, in the form of Sabu from Jupiter or his immortal arch-nemesis Raka. The delightful Diamond Comics logo on the top-left corner of each volume had almost become synonymous with Pran, although they also published several popular translated comics like Phantom, Mandrake, Spiderman, and even James Bond. In the past few days, I deliberately stayed away from reading articles about Pran’s passing away which have flooded news bulletins. Essentially because I never wanted to imagine that everyday things like sickness and cancer, or retirement and pension schemes can touch the mythical impression that Pran’s name had etched in millions of young minds, like my own, decades ago. His image in our heads was just like his books are; splashes of vibrant colors, doses of genuine humor, and a carefree yet surefooted spirit of life. 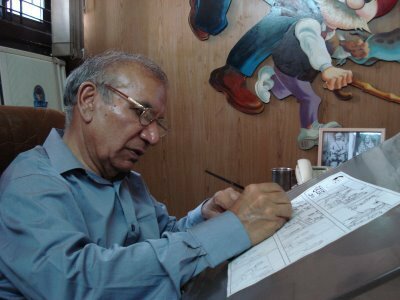 Pran began his career as a cartoonist with the comic strip ‘Daabu’ and sketched Chacha Chaudhary for the first time in the year 1969, for the Hindi magazine Lotpot. It was the beginning of an illustrious life, where he earned indescribable fame, money, and numerous awards, but never abandoned his readers. 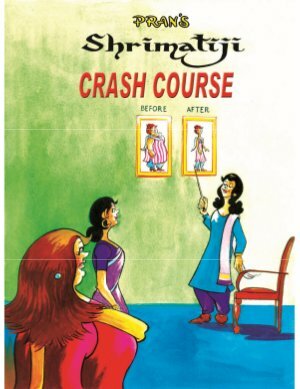 In Pran’s universe, Chacha Chaudhary’s brain works faster than a computer. In ours, it will always be his. Sayantan Ghosh is a compulsive traveler, writer, stalker, and has a postgraduate diploma in anxiety and occasional panic-attacks. He currently lives in New Delhi and works as an editor for an international publishing house. His work has been published in runningoutofink, eFiction India, Eastlit, Clockwise Cat, and Northeast Review.